LNMU PG 3rd Semester Result 2017 (2015-17 Session) - Appeared in the 3rd-semester examination of your Post Graduation course a now looking for the results? 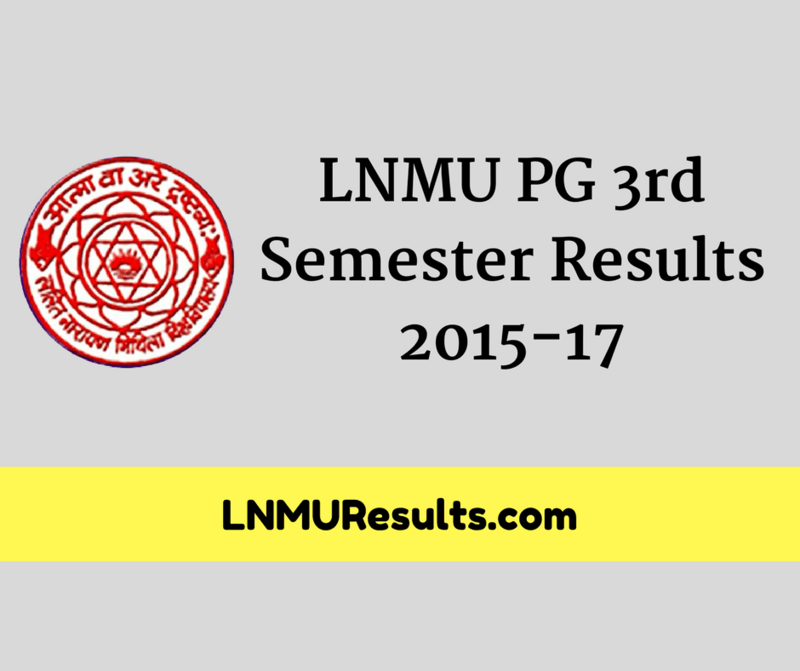 In this post, I am sharing all the details related to LNMU PG Semester 3 results and the complete downloadable PDF format of results. LNMU Darbhanga conducts Semester wise examinations in PG course and students from various PG colleges in the same. For the session 2015-17, Result of PG Semester 3rd is now published and students can check their complete results by simply downloading the results file and searching the roll number of theirs. Lalit Narayan Mithila University offers various Post Graduation courses of all the major streams and has a number of colleges in every district from where students can pursue them. After examination, it takes the university to 2-3 months in completing and publishing the results and after that candidates can check their results. Now, without going more on this let's move the results section. From the below table you can download your results. After that, I will share the complete steps to find your roll number in the PDF file as it's quite big and has several pages filled with roll numbers. So, now you have downloaded the results which have 126 pages in total that includes the whole list of roll numbers passed in the PG 3rd Year Examination of LNMU Darbhanga. If you don't know how to check your results, I will share the complete steps to get your results. As of now, you can get only the division info of yours. For the complete marks, you will have to wait. First of all, Download the PDF file of results by clicking on the link mentioned in the above table. After downloading it open the file. Now, If you are on Desktop, Press CTRL + F or if you are on a smartphone, just press the search icon located at the top-right of your screen. In the input box, type your Roll number and press Enter. As soon as you will press the Enter, you will be jumped to your roll number. Now scroll a little bit up or down and check in which section your roll number falls. Check whether it's in 1st divisions list, 2nd or 3rd. That's all. It's quite simple checking your LNMU PG 3rd Semester Results. So, that's all on this topic and I hope I was able to make the steps super easy to follow and you didn't face any difficulties in checking your results. If you have any queries, feel free to write them in comments and I will get back to you without a delay.